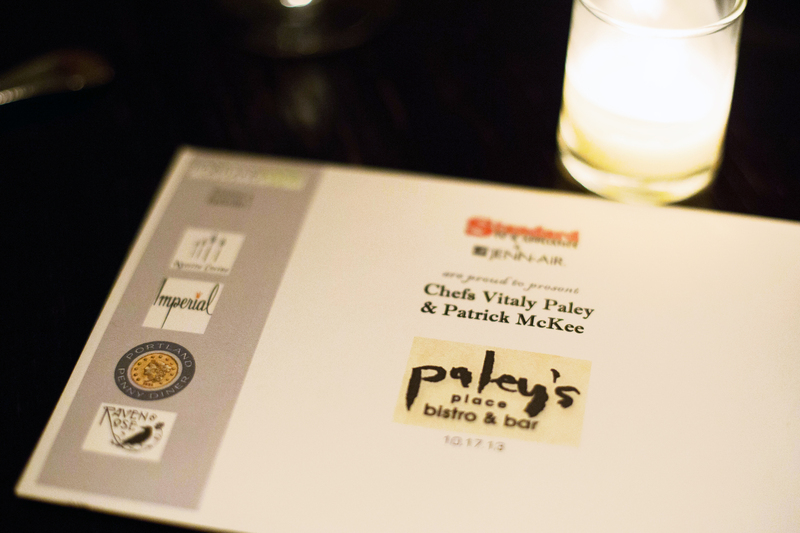 This month’s Portland Food Adventures brought us to a staple of Portland dining, Paley’s Place, owned by Chef Vitaly Paley with Executive Chef Patrick McKee. 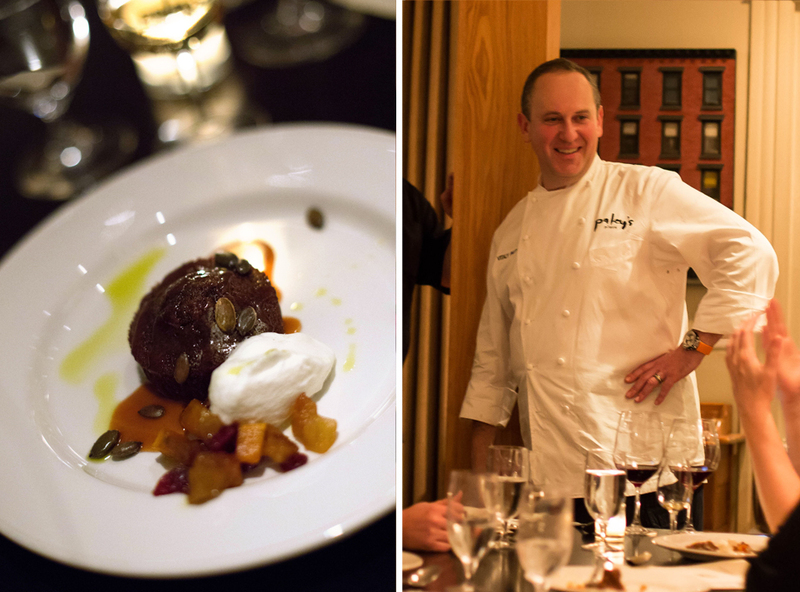 Since it’s opening in 1995, the 50-seat Paley’s Place has been very influential in creating an ambiance conducive to an intimate dining experience. 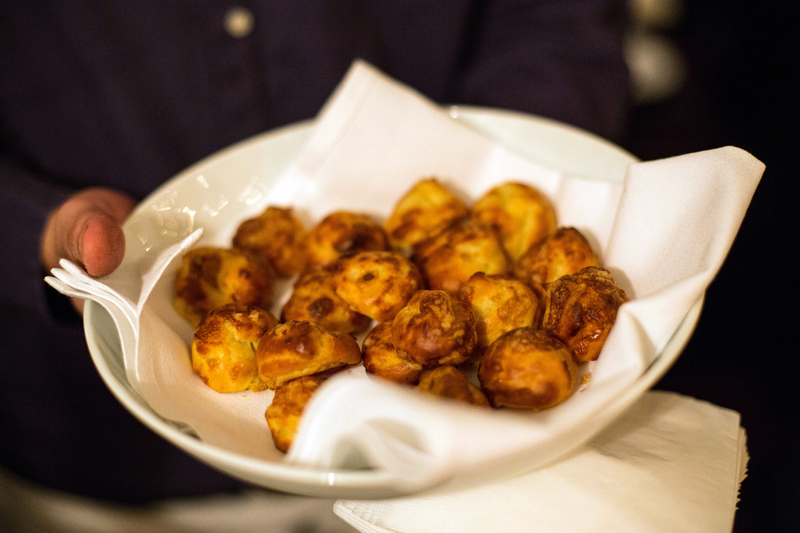 We started out with appetizers including oysters and gruyere filled puff pastries. Vitaly Paley came out to introduce himself and his wife Kimberly, both of whom were a strong presence of hospitality throughout the night. 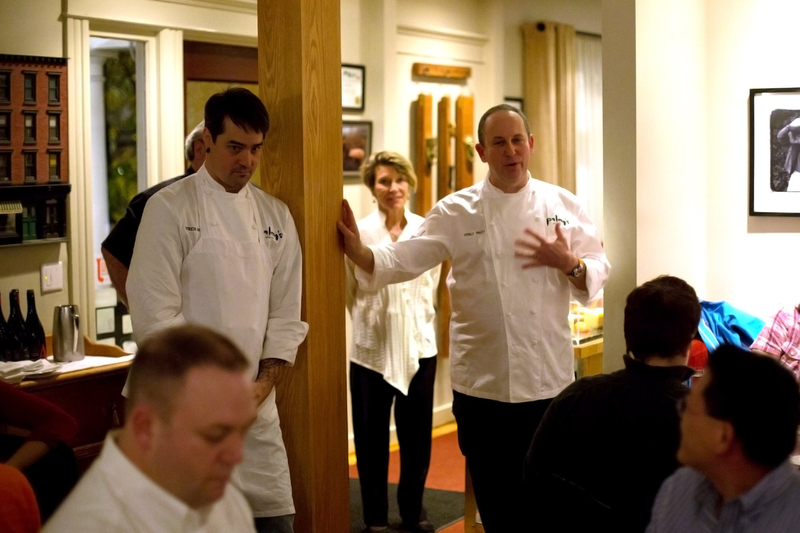 We also got to hear from Executive Chef Patrick McKee and a little bit about the history of Paley’s Place. Next up was an assortment of charcuterie, one vegetarian with grilled radicchio and mozzarella as well as an assortment of meats served with fruit mustard and pickled vegetables. 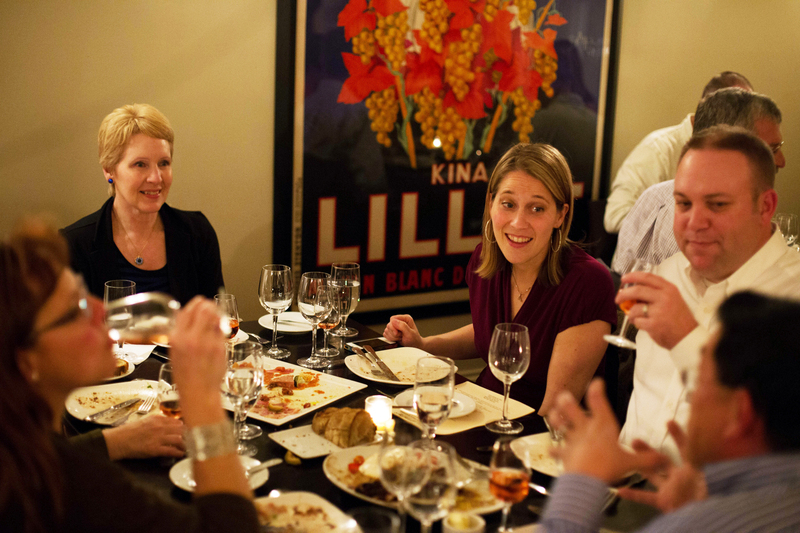 The wine pairings were also fantastic, with a Domaine de Nizas Rose for the first course. 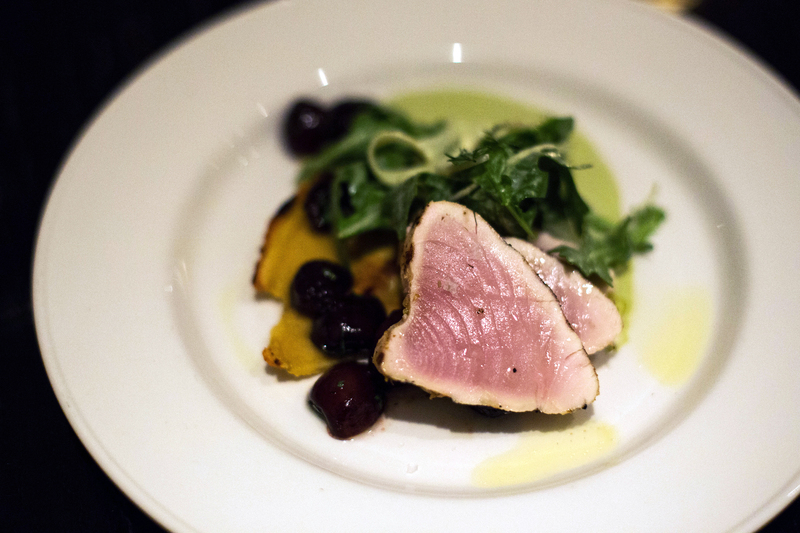 Following was a seared Oregon Albacore tuna Tonnato, served with chickpea socca, cherries and arugula salad paired with a 2011 Matello Pinot Gris. 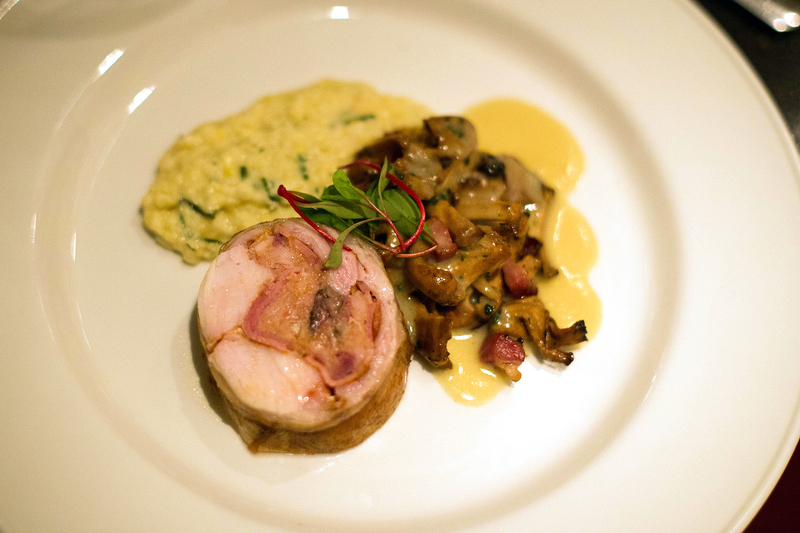 Our third course was a ham and mushroom stuffed saddle of rabbit, with fresh corn polenta and a sauce Blanquette de lapin. 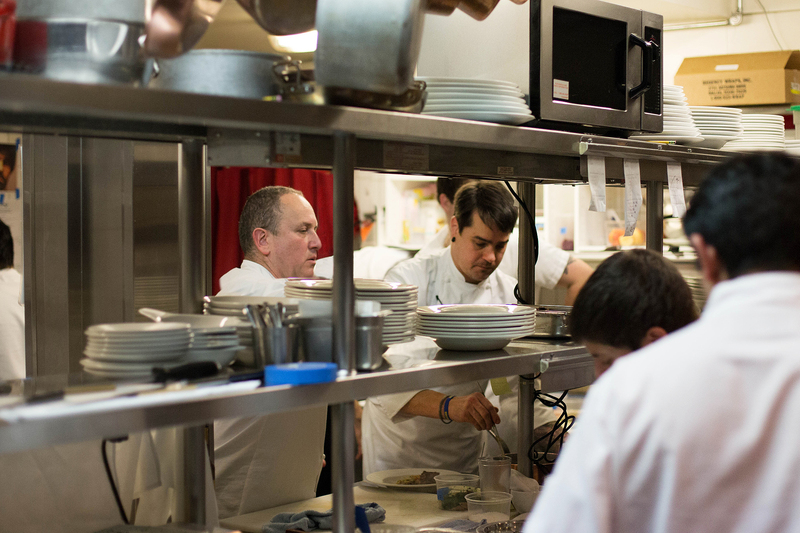 Around this time I snuck into the kitchen to check out the action behind the scenes. Chefs Patrick and Vitaly were both busy directing our next course. This was definitely my favorite dish of the night, a Silvies Valley Ranch Veal Osso Buco, served with herbed spatzle, glazed carrots, brussel sprouts and chantrelles. Finally Chef Vitaly came out to mingle a bit with the adventurers, and talked with us about some of the great gift certificates we were receiving that evening which included Imperial and Portland Penny Diner, Raven & Rose and Nuestra Cocina. We also got our final course, warm gingerbread, harvest fruit compote and vanilla bean whipped cream. 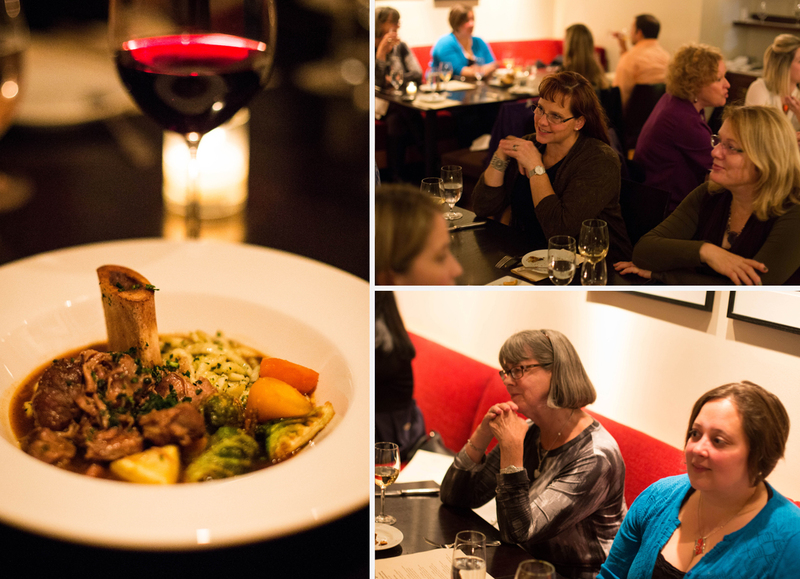 Such a lovely evening, full of great food and conversation, the energy of the room was light and excited. A very unique culinary experience with some of Portland’s finest. To keep the adventure going, Chefs Vitaly and Patrick will be doing a live demonstration “In The Kitchen” at the beautiful Standard TV & Appliance showroom in Beaverton. The perfect follow up to such a fantastic evening. Next up Portland Food Adventures takes on Cocotte! December 10th.